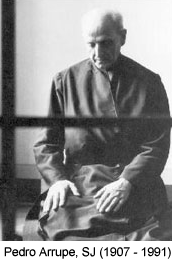 The Pedro Arrupe, S.J. Center for Business Ethics was founded in 2005 as an intellectual resource for business ethics. The mission of the Arrupe Center is to assure that students are equipped to engage in careful, sustained, and critical reflection on ethical issues and are prepared to use that reflection in their business decision making. Two-thirds of HSB faculty have participated in the Arrupe Center Fellows Program. They have produced 70 articles and 45 courses incorporating ethics.